There are general requirements when trying to import firearms and ammunition. The Bureau of Alcohol, Tobacco, Firearms and Explosives is the agency who regulates the importation of firearms. First off, they require all imports of firearms to be imported by a registered firearm dealer regardless if the firearms are new, used or inherited. 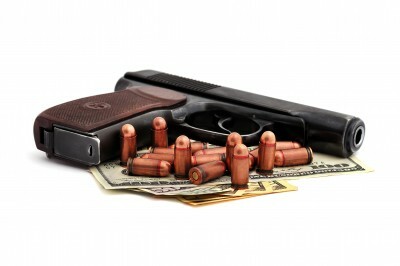 If one wishes to purchase a firearm overseas, he will have to make arrangements with a dealer to handle the importation. One of the importation requirements is to make a request to import a firearm or ammunition using ATF’s Form 6 or ATF Form 6 Part II. The ATF Form 6 is used by Members of the United States Armed Forces. Normally, it will take an importer about 4-6 weeks to have the ATF to process this form and return it to the dealer. On the other hand, an unlicensed person may obtain a permit to import sporting ammunition. This permit excluded armor-piercing, tracer, or incendiary ammunition and firearm parts other than the frames, receivers, firearm barrels, or barreled actions without engaging the services of an expert but it has to be established that the items are for personal use and not for resale. Generally, the ATF cannot issue a permit authorizing the importation of firearms barrels for non-sporting or to make use of the surplus military firearms. Meanwhile, If you have not made arrangements with a dealer to import a firearm or ammunition on your behalf before you purchase one, then it is likely that the Customs and Border Protection (CBP) will detain the weapon/ammo for 30 days, until which you should be able to make arrangements for a registered dealer to handle the importation for you. In some cases, if the ATF is unable to expedite the paperwork and your firearm is not claimed within 30 days, it could be transferred to a general order warehouse and you will have to pay the additional storage fees. Hence, if you still cannot acquire the needed permits, then, after 60 days of transfer to the warehouse, your firearms or ammo will have to be destroyed. Furthermore, if the firearm you intend to import is an antique and was manufactured in the year or before the year of 1898, then the dealer will not be required to submit the Form 6 to the ATF, but you as the owner must be able to prove to CBP that it was manufactured during that period. The CBP will allow a certificate of authenticity or bill of sale with the year the firearm was manufactured as proof of age. If the firearm was manufactured after the year 1898, then dealer still needs to submit the Form 6 to ATF for approval to import the firearm.If the firearm is at least 100 years old or more, and if you can provide proof of age, the firearm will be eligible for duty-free treatment under the antique provision in the Harmonized Tariff Schedule. posed properly, to avoid untoward incidents. Meanwhile, firearms and ammunition owners should also do their part in ensuring that they comply with the regulated laws. Paul P. Cochran is an avid fireamrs specialist & frequent visitor of his local shooting range in Houston, TX. Visit 9mmAmmoForSale.com to know more about fire arms and how you can buy them.